There is nothing more cozy and relaxing than sitting next to a fireplace on snowy late afternoon after a hard day of skiing. I must say this ski vacation in France has been a fun and welcome change from the sea and sand of my day-to-day life. Not that I am complaining, but I guess my Polish blood needs a dose of cold weather from time to time. 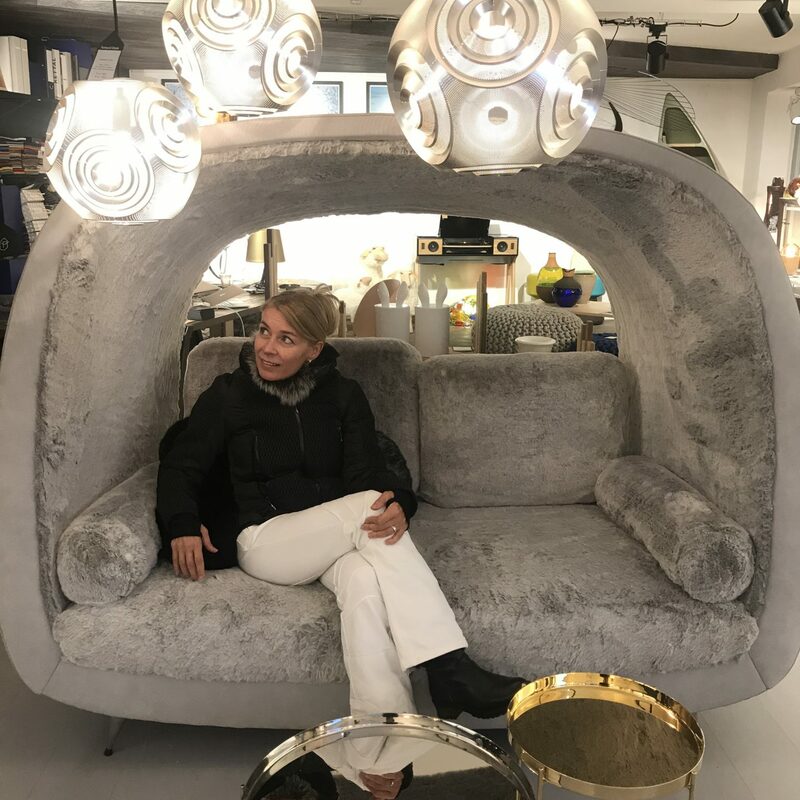 Like always, I set off on an exploration of the local décor and design shops in Megève…and there are many!!! 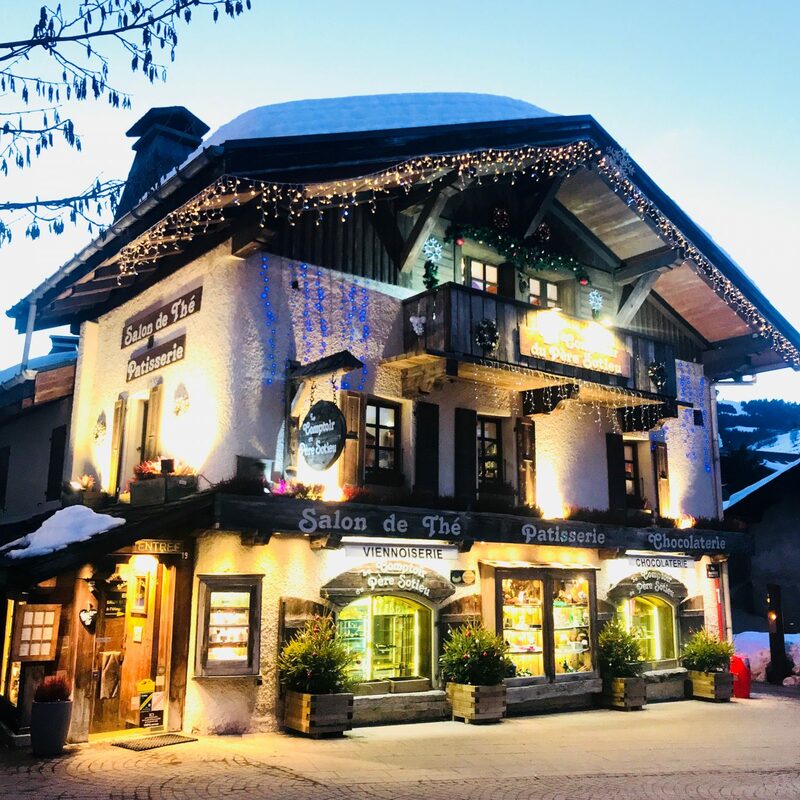 You can´t miss Formes et Utopie for modern chalet décor and design, Poil de Carotte for traditional décor, L´Atelier 55 for art and vintage furniture, and Angel des Montagnes for illumination. 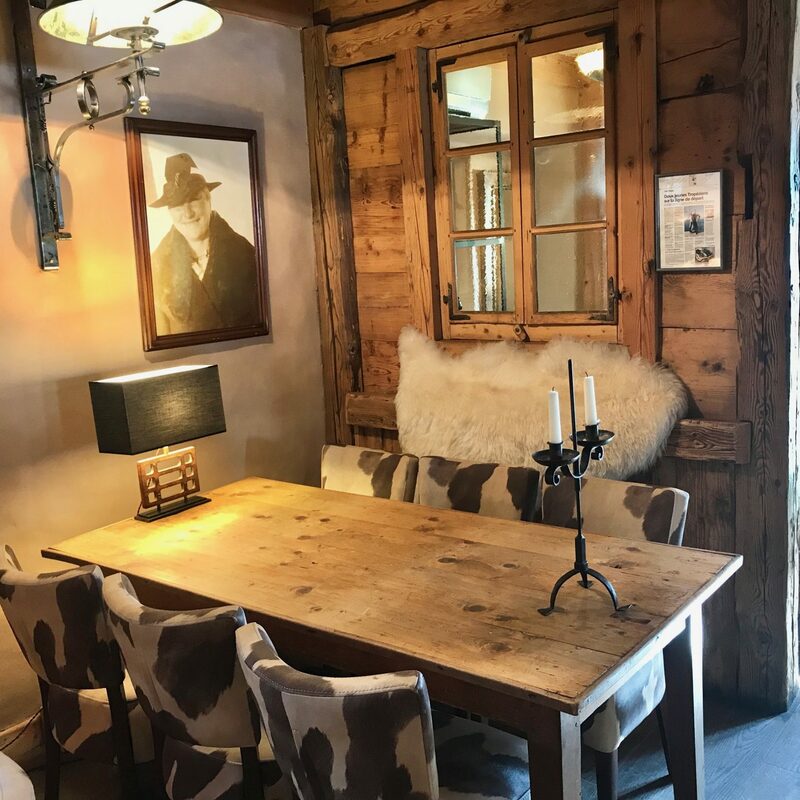 I have completely fallen in love with mountain chalet décor and interior design…and the French really know how to put it together! The chalets here are spectacular!!! Some are traditional, some are modern, but they are all very cozy and each one has its own unique charm and individual personality. Use oversized photos in light and bright colors. Chalets interiors tend to be dark and photos, on a large scale, have a unique way of reflecting light and projecting a natural brightness in the room. Incorporate organic forms. Decorative objects such as lamps are easy to find in organic forms. I found ones made from actual birch trees at one of the design shops in town. Include vintage furniture and décor. Mixing vintage pieces such as a rustic iron-based coffee table or a mid-century lounge chair with your newly acquired sofa give that feeling of authenticity. Metals are essential. They reflect light and break up the monotony of wood. I love metal side tables (check out the photo below). You can also place a metal sculpture in your living room for that sophisticated designer touch! Don´t forget the faux fur. Great on its own for that cozy finish on a bed or sofa or layered with some fuzzy white decor pillows. Grey is the new red. Although red has traditionally been the primary accent color, the new trends include various shades of grey mixed with white. Yellow also goes nicely with grey if you want to be more daring. If you prefer to stay traditional, you can never go wrong with natural earthy tones and green as the accent. Mix traditional with modern. Don´t be afraid to mix traditional chalet architecture with modern concept solutions, especially in the bathrooms and kitchen! And, of course, you can´t miss the outstanding local restaurants, not only for their fabulous interiors, but also for their gourmet cuisine! Love to hear from you, so please remember to leave me a comment below, and don’t forget to follow me on Instagram @exploreanddecor. Previous Post Miami Art Basel Week…world-class exhibits, jet-set glamour, and lots of VIP parties!